I also want to start fresh. I’ve always liked the idea that with the new year comes a new start, so starting the new year with a juice cleanse appeals to me. Juice cleanses provide a way to give your digestive system a rest and cleanse your body from toxins while also providing vitamins It sounds like a great way to reset my body after holiday cookies and candy. And even though part of me is reluctant to give up food for three days I’ve also heard you just feel better overall after trying one of these things so I’m game. I've done a juice cleanse once before. Even though I'm the first person to admit I don't live the healthiest lifestyle (I like to snack and let's just say my workout routine could use improvement) I do like the taste of fresh fruits and vegetables. The last time I did this, it was summer and I was a bit more active. I wanted to know, what is this cleanse like for your average, on the go Chicagoan in the middle of winter? Would juice be enough to keep me warm and happy?? 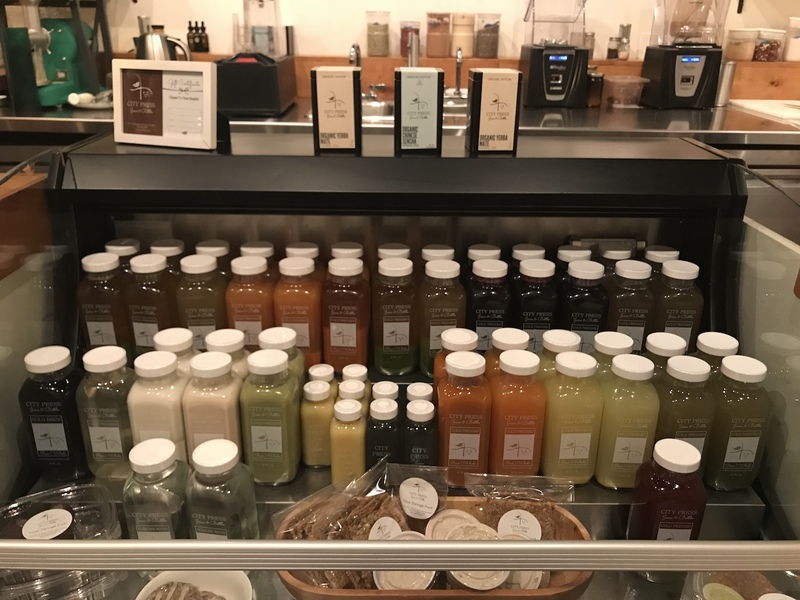 City Press Juice & Bottle has a location close to my house (they have locations in Wicker Park, Lakeview, and Ravenswood) and offers a Detox Cleanse, that lasts three 3 days. 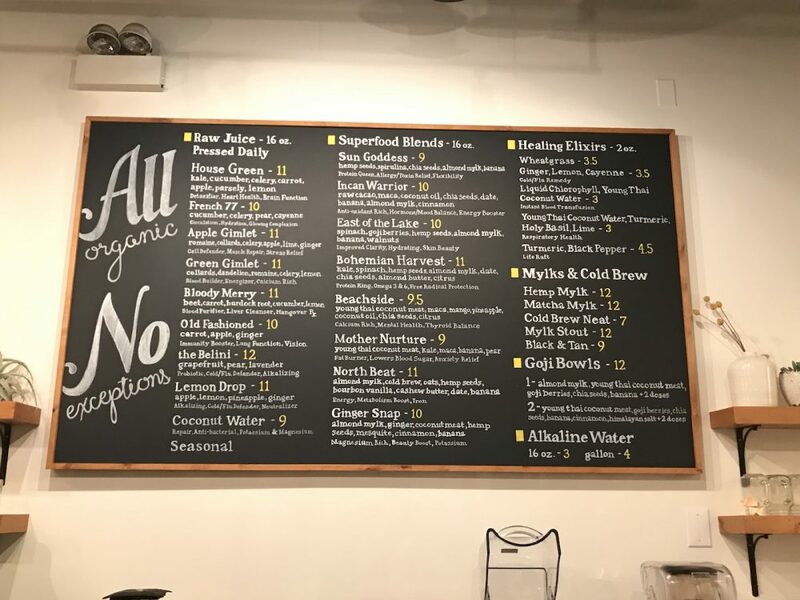 They also have a standard Juice Cleanse to break down toxins and a protein-rich Reboot Cleanse which is great for athletes or the very active (in other words, not me.) You can stop in each day and pick up your juices or have them make all three days in advance. When I walk in to pick up my juices, the staff at City Press were helpful and patient with answering my questions/assuring me I wouldn’t break down and end up binge eating donuts. I could tell they really believed in their product and wanted to share this enthusiasm with their customers, which was cool. They suggest I use these three days to relax and spend time on myself if possible. I am also allowed to drink water and decaf tea. I pick the juices up on Friday night to drink over the weekend, and so that’s exactly what I plan to do. We’ll see how I do at work on Monday! 9:30 am: I wake up moderately hungry, open the Young Thai Coconut Water first and take a sip. It’s delicious! Although it’s pure coconut water, I think this tastes a tad sweeter than the coconut water I buy at the store. Maybe because it’s so fresh? At any rate, I love this. I want to drink this everyday. But, I’m still hungry so I decide to also open the Incan Warrior smoothie: cacao, chia, maca, coconut oil, cinnamon, pink Himalayan salt, date, banana, young Thai coconut water, coconut meat. It tastes like banana and coconut with cinnamon on top. I like it but the thick smoothie texture is too much for me to drink all at once. So, I make a compromise and drink half the smoothie and half the coconut water. According to City Press, the drinks don’t HAVE to be consumed in any particular order; you just have to drink them according to the day they are marked. I feel pretty good. Half an hour later I am still thirsty, so I drink the rest of the coconut water. I then start tackling some light housework such as cleaning and laundry. 12:00 pm: Very, very hungry. I keep thinking about how nice a pizza or burger would sound right now, but I can’t give in now! I drink one of the green juices, the House Green: kale, cucumber, celery, carrot, apple, parsley, and lemon. This tastes like your standard green juice, very healthy and fresh. Before I realize it, the entire thing is gone. Half an hour later: Obviously at this point I keep having to use the bathroom. But that’s good right? It means I’m flushing any toxins out of my system. I also feel strangely full, which is unexpected. 4:00 pm: I drink the rest of the first smoothie mostly because I’m bored. I’m still not particularly hungry, and I’m surprised. 6:00 pm: Waking up from a nap, my roommate is downstairs cooking dinner and all I can smell is chicken wings. Noooooo!!! Must be strong. Man up! I go down to the fridge to try the second smoothie, the Sun Goddess: spirulina, hemp seeds, chia, banana, house-made almond milk, young Thai coconut water, and coconut meat. It has a dark green color which may be slightly intimidating, but the taste is basically just banana and coconut, and I don’t really taste anything overly “green” about it. I like it and guzzle the whole thing down while trying to ignore the siren call of greasy wings and pizza. I admit, I do cheat and also have two saltine crackers. By the time I’m done I still want pizza but I’m also pretty full. 7:30 pm: I go meet some friends for drinks (I unhappily order soda water) and by the time I get home, it’s late and I’m so sleepy I pass out without finishing juice #6, the Hemp Milk. However I admit that later during the night I LITERALLY DREAM OF PIZZA. 10:00 am: The first thing I do upon waking is drink coconut water. It’s so refreshing! I feel happy and fall back asleep for about another hour. When I wake up again, I’m hungry. I want eggs. I want coffee and bacon and toast. (Not that I ever wake up in time to cook this for myself anyways...haha!) But instead...I dutifully go downstairs and decide which juice I’d like to have. The smoothies seem like an obvious choice but I tend to get hungrier later in the day, so I decide to save them for later, and I think the Hemp Milk (9.8 pH alkaline water, hemp seeds, bourbon vanilla, cinnamon, pink Himalayan salt, date) is close to something I might have for breakfast anyways. I’ve never had hemp milk before and I’m slightly surprised at the flavor. I’m expecting something like almond or soy milk but the hemp has a very fresh, almost “green” taste to it. It takes some getting used to, but by the end I like it and finish it all happily. I also have yet to describe the second of the green juices, the Green Gimlet: collards, dandelion, romaine, celery, and lemon. It’s very bright with the lemon coming in strong. I feel very refreshed after drinking this and I think after the coconut water and Green Harvest, I like this the best. 7:00 am: I think I’m getting into this “wake up with a glass of coconut water” thing. It makes me feel pretty good and hydrated. On the way to work, I am surprised to notice that not once in the last few days have I felt a craving for coffee. I pack up three juices to drink at work, and save the last two for when I get home. 9:00 am - 5:00 pm: Work is busy today and I drink the smoothie without even really thinking about it. I am still full by the time lunchtime rolls around, which is unusual because normally I’m counting down the minutes. I drink a green juice for lunch and have the other green juice at around 3 pm. I am hungry by the time I get home and so I have the last smoothie for dinner. I finish off the last day with the hemp milk and three more crackers. Overall: Physically, I feel hungry but good. I feel lighter, I like that I haven’t felt a need for coffee, and my lips and skin feel hydrated. Mentally, I felt a little sluggish on day 2, but today I feel pretty good. I’m happy that I tried this cleanse. While I do think I like pizza too much to do this regularly, I think maybe once a season or whenever I want to detox my body would be good. I’d definitely do it again! They also have on-the-go items at their juice bars.